Live, Work, & Play Lifestyle. 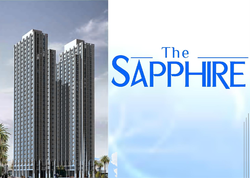 THE SAPPHIRE guarantees you accessibility and convenience amidst your on-the-go lifestyle - keeping you in touch and at the same time keeping you at home. It provides instant access to things that matter most in your active and busy schedule. THE SAPPHIRE's insiping Art Deco architecture will surely stand out amidst the gray and unexciting structures in the city and with the distinction of a stylish address comes the convenience that the prime location provides. Life is about getting the things you want. 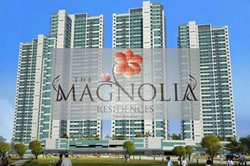 Live where life’s necessities and luxuries are just at your doorstep. GATEWAY REGENCY offers you the convenience of being at the center of everything, commercial centers, central business districts, schools, hospitals and major thoroughfares. It’s life the way you want it to be. Make New Memories While Holding On to Old Ones. Life may have taken you places but the Magnolia Ice Cream House is one of those places none of us can forget. And how can you? After all, we yearn for a places we can never go back to. A place that makes you wish you can turn back the clock and relive every happy moment all over again. Breathe Life into your Home. Living in the bustling city can be stifling. With too many people amids the thick concrete jungle, there's little room to move and breathe. So get away from the crowded elevators, noisy streets and smoggy atmosphere. Find freedom yet sophistication. Indulge yourself in the finest comforts that life has to offer after a long day at the office. 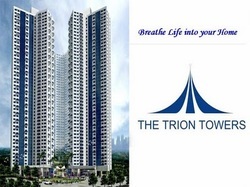 Escape to the luxurious haven known as The Trion Towers, where you can fill your home with a copious amount of air, light and your own personal space. Experience urban harmony right where it all happens. Prepare for the haute couture of condominium living. With architect Royal Pineda, furniture and space designer Budji Layug, and furniture designer Kenneth Cobonpue spearheading the Signa Designer Residences project, expect your residential space to be award-winning and quite simply the highest of all standards. 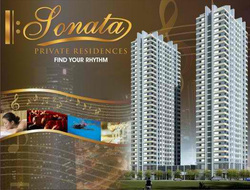 Your Smart Move, A worthy choice for your ideal lifestyle. 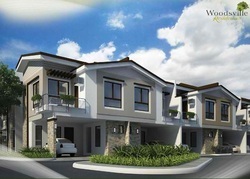 ROBINSONS RESIDENCES gives you Woodsville Residences ---located within 9 hectare Woodsville development in Merville, Paranaque. Woodsville Residences boast of exclusivity, accessibility and comprehensive amenities, making it a smart move for families who are truly at home in the south.